Indian Railways has launched a new facility (refunds.indianrail.gov.in) to enable them to monitor the refund status of their cancelled tickets in real time. of Indian Railways. If passengers have cancelled their tickets, they can key in the Passenger Name Record (PNR) numbers of the tickets to know the refund status. “This facility is to promote transparency in the system and is extremely helpful for those awaiting refunds,” news agency Press Trust of India quoted Ved Prakash, director of publicity of Railway Board, as saying. Train tickets can be cancelled across ticket counters as well as IRCTC website and through railway enquiry number 139, according to the Press Trust of India. The website – refunds.indianrail.gov.in – has been developed by the Centre For Railway Information Systems (CRIS), which maintains one of the most popular Indian Railways websites www.indianrail.gov.in. 1) Travelers who have cancelled tickets need to log into the website – refunds.indianrail.gov.in. 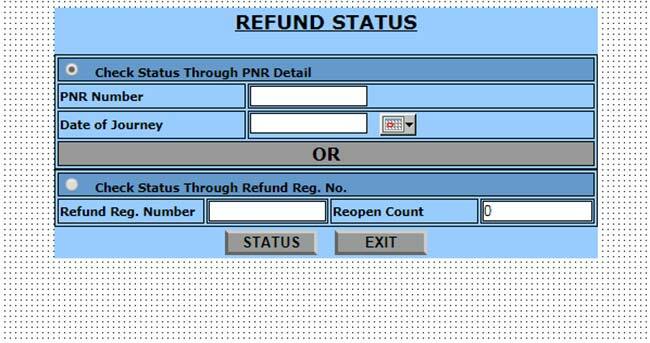 2) Then they need to click on Check Refund Status tab. Thereafter, they need to key in the PNR details. Or they can even directly go to http://www.refunds.indianrail.gov.in/refund/refund.ref_status. 3) This new facility will show status of refunds for tickets bought online or at ticket counters. 4) The new system will specially help those passengers who are forced to submit ticket cancellation claims through Ticket Deposit Receipts (TDRs) at ticket counters, according to the Press Trust of India report. 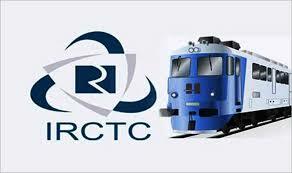 Under the TDR process, for example, the claims are submitted to concerned Railways for processing of the refund. 5) Currently, passengers who book their tickets through the IRCTC website get emails and SMSes to acknowledge the processing of their cancelled tickets and refund status.